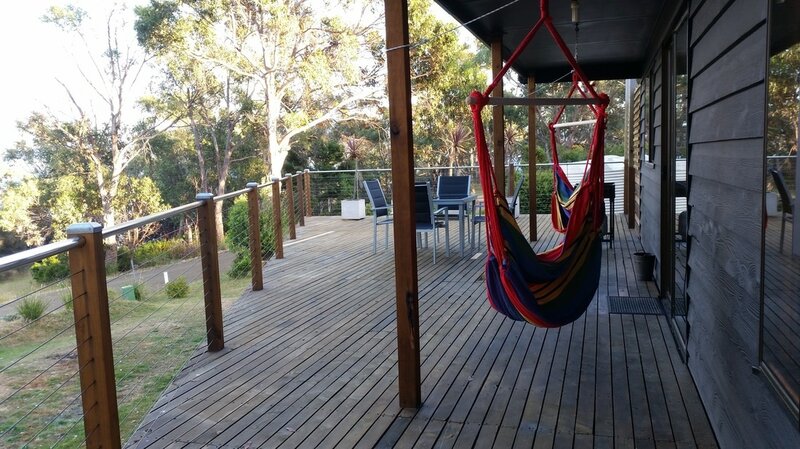 Bed on Bruny is a fully self contained cottage in a great location. 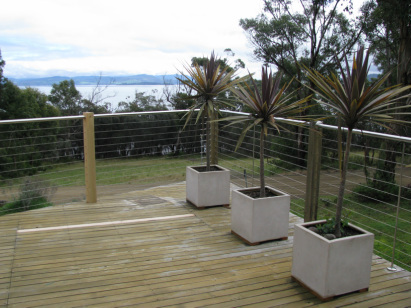 It has a large deck with fabulous views over the D'entrecasteaux Channel and mountains to the West. It is the perfect place to relax and enjoy the sunset or go for a stroll along the beach. Bed on Bruny is across the road from the Alonnah Dray Track - a 1 hour coastal walk which goes from Alonnah to Sheepwash Bay. It is ideally located for a short walk into town to buy the paper or a longer peaceful walk along the coast. The house has an open plan living area with a well equipped kitchen and a comfortable lounge area. There are two bedrooms - one with a queen size bed and one with a double bed and a bathroom with a spa. We aim to provide a clean, comfortable, relaxing destination for your holiday.